At the local secondary school it’s a different story. Miss Belltop-Doyle can’t control her year 10s, Mr Pashley has been put in charge of a confiscated tamagotchi and Miss Turner is hoping that this muck-up day goes smoother than the last. Tobias, the German language assistant, watches on. Things can only get better. 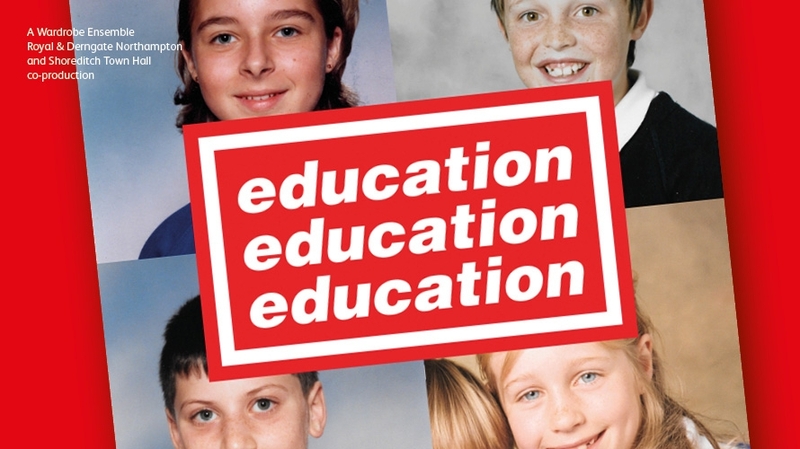 Education, Education, Education is The Wardrobe Ensemble’s love letter to the schools of the 90s and asks big questions about a country in special measures, exploring what we are taught and why, and where responsibility lies. The Wardrobe Ensemble use their trademark inventive theatricality and irreverent humour to explore the stories that have shaped our country’s recent political history, and what the future might look like.